Please check the calendar for the dates in which you are interested to see if they are available before making your enquiry. Situated in a quiet residential neighbourhood,only 15 mins drive away from Heathrow airport. With 1 double,1 twin and 1 single bedroom,and plenty to see and do in the surrounding area it is an ideal house for families.An enclosed courtyard garden with seating - great for dining outside when the weather is good enough! There is parking available for a maximum of 3 cars only. If you have more than that then this house is not for you. Please also note; this is a quiet residential area and therefore is not suitable for those of you who perhaps enjoy loud social gatherings. I do ask that guests respect the neighbours with regards to both the parking of their vehicles(and any visitors) and the noise that they make. The nearest train station is Burnham with a direct line service to London Paddington, the station does have a car park and it is about 5 minutes drive away from the house. There are 2 supermarkets within a short driving distance; Co-Op and Asda. Just up the road there is a newsagents(which sells basic household foodstuffs etc.) a fish and chip shop, and 2 pubs that both do food. Cippenham is a village within the suburbs of Slough,which has 2 shopping malls: the Observatory and the Queensmere,swimming pool and ice skating rink.There are many different restaurants in Slough and the surrounding area including Indian,Chinese,Italian,plus those offering more traditional British food. Microwave, fridge freezer, toaster, dishwasher, washer/dryer, kettle. Cooking and eating utensils provided. This is a 2 storey house with no stair lift. Warm and welcoming home from home. We stayed for 11 nights and found the the house very well equiped and has all you will need for a home from home stay away. will gladly book again when back in the area. A warm and welcoming place with very good amenities close by. A great big thank you to the owner Julie for accommodating all our needs and making our stay just perfect. Clean and well-equipped house; a true home away from home. Highly recommended! Comfortable house and perfect location. The owner was very helpful and communicative through out the booking process. A really fantastic spot, with supermarkets and big stores around. Very Green, quite area, friendly people. Cippenham is near Windsor, lovely parks and lakes. Easy access to M4/M25 and to every where else. The nearby parks was a bounce for our two kids and us. Great Wifi, with two T.V's in the house. We thoroughly enjoyed our stay and will be going back to this house next year. We hebben in de zomer van 2018 als gezin met onze twee kinderen (zoon 19 jaar en dochter 17 jaar) in de woning van Julie onze vakantie gevierd. De woning staat in Cippenham wat een wijk is Slough. De woning is zeer compleet. De keuken is voorzien van koelkast (vriezer) oven, broodrooster en magnetron. We ontdekten dat veel gerechten (patat etc) door de Engelsen in de oven worden opgewarmd. Koffie wordt door de engelsen via oploskoffie gemaakt. Er is een waterkoker. Op loop afstand zijn er supermarkten. Voor de grotere boodschappen is een bezoek aan Tesco in Slough (12 minuten met de auto) aan te bevelen. De Tesco is een zeer grote winkel waarin voor een redelijke prijs je boodschappen kunt kopen. Wie naar London wil kan het beste de trein nemen op station Slough. Parkeren kost voor een hele dag 7,90 pond. Na 9.00 uur kun je een dagticket kopen naar London (14.90 pond) die ook geldig is in de Underground. We zijn drie dagen op deze wijze naar London geweest. Een bezoek aan Windsor en Eton is ook meer dan de moeite waard. De stad Oxford hebben we bezocht via een Park and Ride. Onze pinpas bleek niet te werken zodat we papiergeld hebben gewisseld bij de chauffeur. Er zijn meer parkeerautomaten die werken met ons oude Chipkaart model. Wij hebben als gezin genoten van 10 dagen London. Het huis in Cippendal is ons zeer goed bevallen. Wir waren zu fünft 12 Nächte in diesem Ferienhaus. Es ist Preis-Leistungs-Sieger im Großraum London, deshalb haben wir da gebucht. In einer Stunde ist man in London. 3 kleine Schlafzimmer für 5 Leute. Küche und Wohnzimmer ok. Ein normales englisches Häuschen. Im Hof kann man an frischer Luft frühstücken. Das alles für 80 € die Nacht. Weitere Vorteile: Das Häuschen liegt im alten Dorfkern Cippenham. 1 Minute zu Spätverkauf, Fish and Chips, Briefkasten und 2 Kneipen. In 2 km erreicht man den Jubilee River für Spaziergänge, zum Joggen, Radfahren oder Vögel beobachten. 2 Stellplätze sind am Haus. In Slough gibt es eine Menge Einkaufsmöglichkeiten. Windsor liegt unmittelbar nebenan. In den Chiltern Hills gibt es echte Wanderwege. Natürlich gibt's auch Abzüge: Bei offenem Fenster hört man die Autobahn. Stundenweise hört man alle 5 Minuten startende Flugzeuge von Heathrow. Das ist uns ab 7:00 Uhr und zwischen 22:00 und 23:15 Uhr aufgefallen. Über Tag waren wir viel unterwegs, sicher ist das noch öfter. Slough ist eine weniger attraktive einfache Wohnstadt für London, überall typisch englische Häuschen. Im Zentrum stehen viele Geschäfte leer. Ohne Auto geht wenig: nach Heathrow 20 min mit dem Auto, zu Sehenwürdigkeiten oder in die Natur ab 30 min. Richtung London ist natürlich sehr viel Verkehr und immer mal Stau. Nach Windsor haben wir auch 30 min gebraucht. In der Wohnung ist einiges wacklig (Teppichboden fleckig, Fenster mit den typisch englischen Schlössern, Spülmaschine, Gardinen). Das ist für den Preis für mich ok, hat uns wenig ausgemacht. 100 Pfund Deposit waren zu Beginn zu zahlen und ein Blatt zu unterschreiben, das uns verpflichtet, die Wohnung geputzt zu hinterlassen (Oberflächen, Fußböden, Kühlschrank, Waschbecken usw.). Das war ein Aufwand, den wir uns sonst gern sparen. Wir haben das Geld allerdings am Abend vorher wiederbekommen, ohne dass die Vermieterin nachgesehen hätte. Sie hat wohl schlechte Erfahrungen gemacht. Wir sind eine fünfköpfige Familie und das Haus ist absolut perfekt. Es ist alles vorhanden - sogar inkl. Handtücher und Bettwäsche - und von Slough kann man alles perfekt mit Bahn oder Auto erreichen. Wir sind absolut begeistert und hoffen, irgendwann mal wieder dorthin zu kommen. 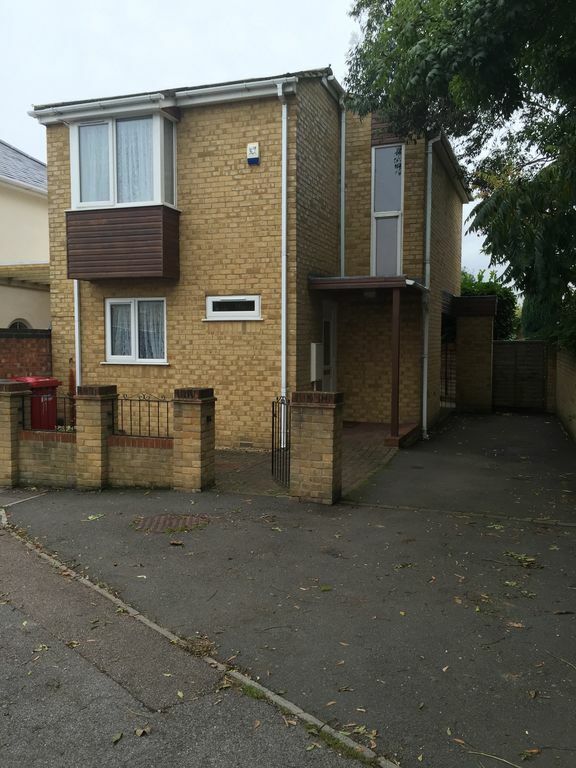 Situated in a quiet neighbourhood in the suburbs of Slough. Only 15 mins drive away from Heathrow airport. With 1 double,1 twin and 1 single bedroom,and plenty to see and do in the surrounding area it is an ideal house for families.An enclosed courtyard garden with seating - great for dining outside when the weather is good enough! Detached house suitable for families, and people working away. Conveniently situated for visiting Windsor Castle, Legoland, Thorpe Park, London and many other local attractions. With Wi-Fi, cable TV and dvd player. There off street parking available on the private driveway next to the house, 3 cars maximum. The nearest train station is Burnham with a direct line service to London Paddington, the station does have a car park and it is about 5 minutes drive away from the house. There are 2 supermarkets within a short driving distance; Co-Op and Asda. Just up the road (2 minutes walk) there is a newsagents (which not only sells newspapers, magazines, and cigarettes; also sells basic household goods and foodstuffs etc.) and a Fish and chip shop. The 2 pubs near to the house, The Kings Head and The Barleycorn, both do evening and daytime meals as well. Cippenham is a village within the suburbs of Slough, which has 2 shopping malls: the Observatory and the Queensmere, a swimming pool and ice skating rink at the Montem Leisure centre.There are many different restaurants in Slough and the surrounding area including Indian, Chinese, Italian, plus those offering more traditional British food. The booking deposit of £200.00 is non refundable. If the guest has paid the full balance, they will receive: a 50% refund of the total cost if they cancel at least eight weeks before the start of the holiday; or a 25% refund of the total cost if they cancel up to four weeks before the start of the holiday.